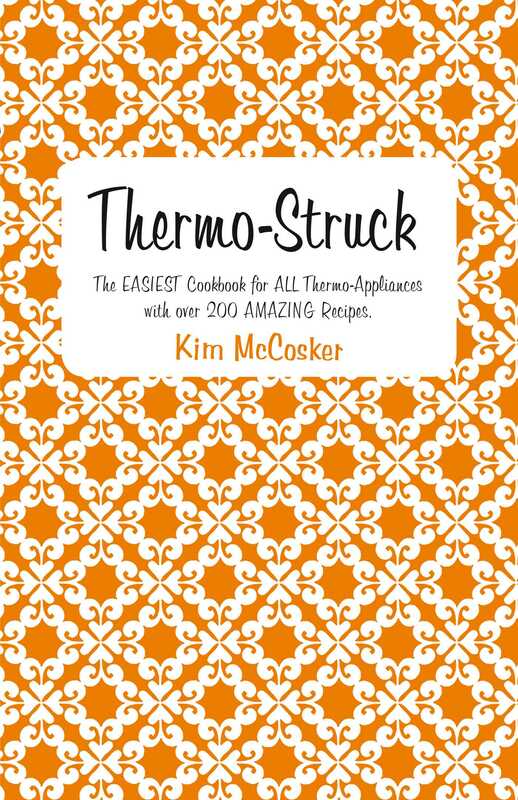 Discover why the original, lightweight Thermo-Struck is the biggest selling Thermo cookbook online. Now Thermo-Struck covers so much more! Falafels - Always been too hard? Not anymore! Crumpets- That will melt in your mouth. Sausage Rolls - With over 2 cups of veggies smuggled in! Tim Tam Truffles - MAKE DOUBLE! Thermobambino - A chapter of delicious, nutritious baby recipes. Tomato & Lentil Soup - A 'hug' in a bowl. Toblerone Cheesecake - A real crowd pleaser. Herb & Garlic Foccacia - Just as your baker would make it. Quick Fire Tomato Jam - Perfect to bottle as a gift. Over 6 delicious Risottos - For people who LOVE to eat. Plus 200 more quick, easy and delicious Thermo-Mazing Recipes!